A comment from an ex-CTA (Central Tibetan Administration) insider on a TibetSun.com article reveals a rather insidious agenda brewing right in the heart of the Tibetan leadership. To date, the CTA has failed to make statements that discourage or denounce the growing trend of self-immolations occurring in India and Tibet, within the Tibetan community. Since the Tibetan leadership has failed to denounce the self-immolations, it is clear through their silence that they condone this practice. Hence they are allowing and encouraging Tibetans to kill themselves in the name of the Tibetan cause. They even glorify Tibetans who self-immolate by holding memorial services, lighting candles, calling them martyrs of the Tibetan cause and erecting statues to commemorate past self-immolations. And beyond this, the Tibetan leaders have even used self-immolation stories and statistics as garnishing for their fundraising campaigns in the West. There is blood smeared all over the donations that they have received into their fat pockets. 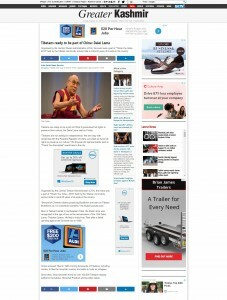 Comment left on the ‘Is Indian citizenship for Tibetans a threat to the Tibetan cause?’ article on Tibetsun.com. 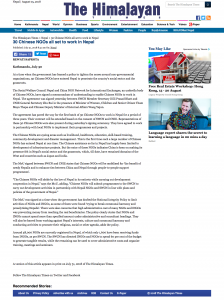 Click on image to read the comment. How can the Tibetan leaders allow their own people to kill themselves for the Tibetan cause when the leaders are not doing nearly enough to make a breakthrough for the Tibetan cause? All negotiations with the Chinese have reached a stalemate and there are no fresh attempts or even a change of strategy in dealing with the Chinese. In other words, the Tibetan leadership have been ineffective with their policies and dealings with the Chinese leaders and the self-immolations, a manifestation of the people’s frustrations, are actually proof of this. 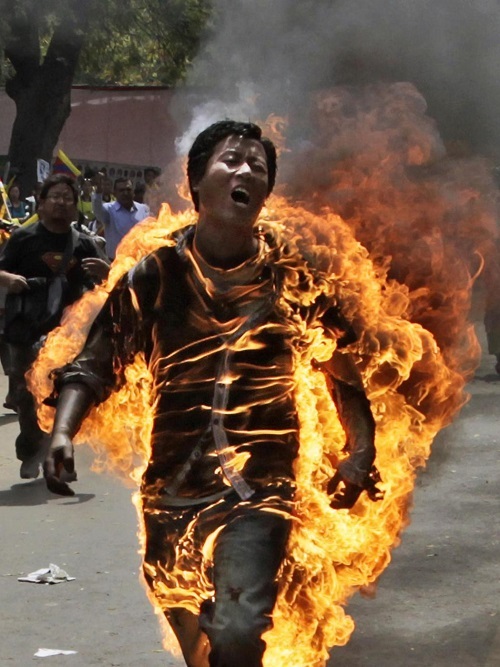 Tibetan activist Jamphel Yeshi, 27, runs through the Delhi streets on fire in protest of Chinese policies in Tibet. At the end of the day, the Tibetan leaders could do much more to engage with the Chinese leaders. What government or leadership in the world celebrates the self-immolation of its own citizens instead of taking steps to prevent it? It is not as though the Tibetan leadership lacks the mechanisms to discourage people from self-immolations. For example, the Tibetan leaders have proven themselves to be extremely adept at browbeating and segregating Dorje Shugden practitioners into giving up the practice. The same methods could be applied in a positive manner towards families and friends of those who self-immolate because that would help to prevent other cases of self-immolation from occurring in the future. In the case of Dorje Shugden practitioners, they are denied basic services such as medical care in Tibetan hospitals, access to shops and facilities, and they are ostracized by the general Tibetan populace. These behaviors by ordinary Tibetans are instigated and perpetrated by the CTA who repeatedly talk about the so-called harmful nature of Shugden practitioners. But while these actions obviously have a negative impact on the lives of Shugden practitioners, the CTA could also use the very same methods for more positive impact on their community. By warning Tibetans that these restrictions will be imposed on the families of those who self-immolate, the CTA could potentially end self-immolations in their community altogether. Families and friends of those considering taking their own life would have a greater impetus to pressure them out of this deadly act, thereby saving everyone from the pain, suffering, and death caused by such an action. And the self-immolators might think twice about engaging in an act that brings difficulties and limitations on their loved ones. After all, since the CTA are already known for imposing such restrictions on their people, why not use the methods for something positive and worthwhile instead of negative? This way they would be protecting their people for once, instead of harming them. 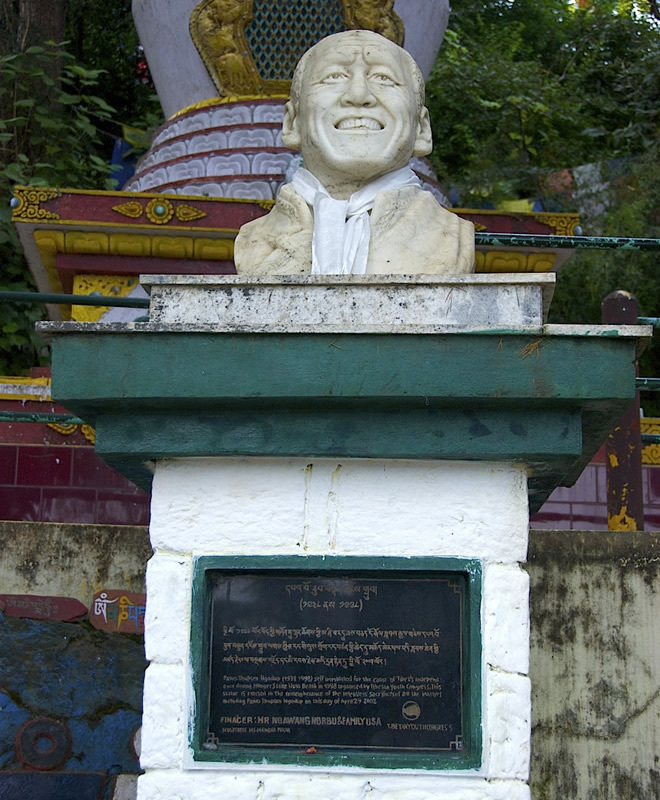 A memorial for Thupten Ngodrup was erected by the Tibetan Youth Congress (TYC) on the circumambulation path around the residence of the Dalai Lama in Dharamsala. He was the first man in modern times who self-immolated for the Tibetan cause in 1998. Furthermore, self-immolations in Buddhism is considered an act of killing. The act of killing is widely considered to be grave negative karma for the individual committing the act. Unless the individual has a bodhisattva motivation like that of the Buddha in a previous life who offered himself up to a hungry tigress, the act of killing has the very serious repercussion of taking rebirth in the hell realms. Now, since the Tibetan leadership consider themselves to be Buddhist (or at least led by Buddhist principles), should they not abide by this very fundamental aspect of the teachings? Why would they condone and encourage others to take their own lives? Therefore, even though they call themselves Buddhist, ultimately this is merely an attractive label used to encourage foreigners to donate to the cause. 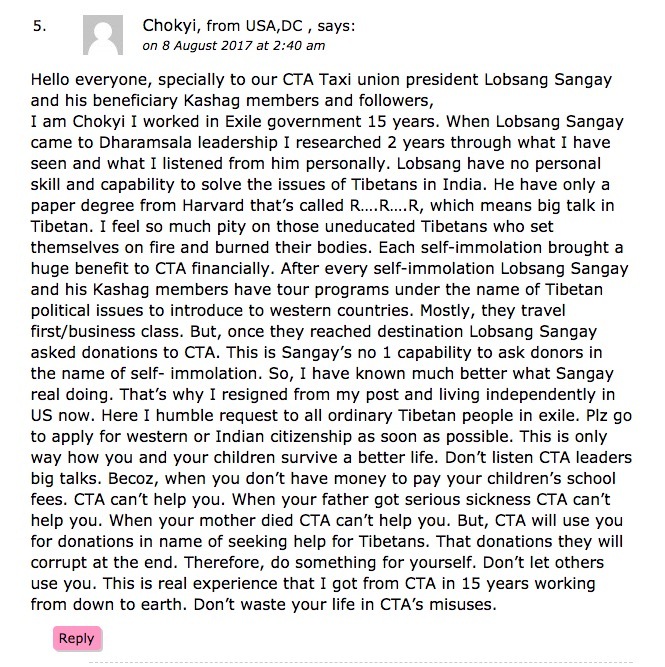 In fact, after every case of self-immolation, the CTA are said to benefit financially through donations given by foreign countries and organizations who take pity on them, as expressed in Chokyi’s comment. This is not something to be taken lightly since Chokyi claims to have worked for the CTA for over 15 years, experiencing the blatant greed of the leadership as a firsthand witness. 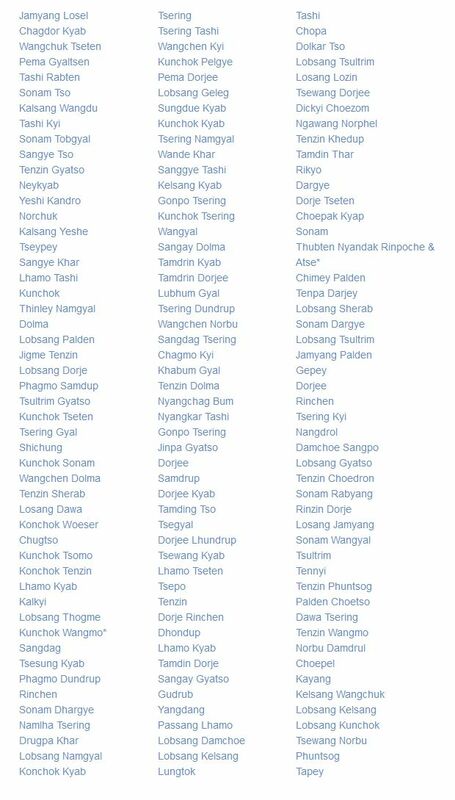 A list of those who have self-immolated for the Tibetan cause since 1998. The CTA could have stopped this loss of life, but instead use their deaths to line their own pockets. Click to enlarge. At the end of the day, the Tibetan leadership should apply the necessary means to end all self-immolations and that is to make headway with their negotiations with China. So far, the Tibetan leaders have only issued statements to put down China’s actions and this has got to stop. Just like a salesperson trying to sell its products to a potential customer, a sensible salesperson would not say things to criticize or insult the customer. They would instead praise or say things to make the customer feel happy in order to make a sale. 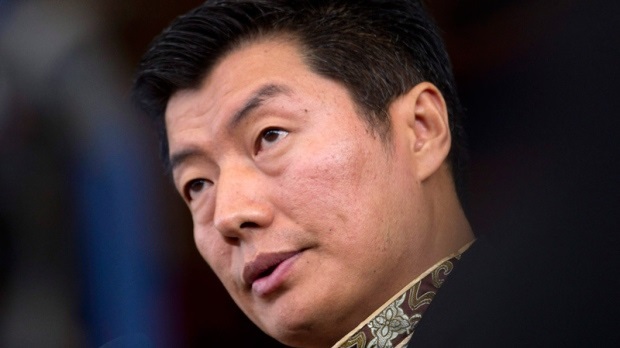 Likewise, the Tibetan leadership should stop highlighting self-immolations and instead find common ground to talk about and encourage China to reopen negotiations. 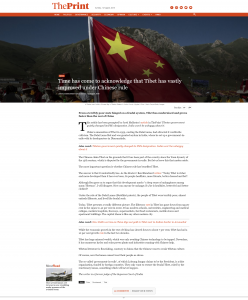 After all, China’s powerful influence is growing day by day, while the effectiveness and appeal of the CTA and the Tibetan leadership is waning fast. And so the Tibetan leadership really have to do much more and quickly before it becomes too late. 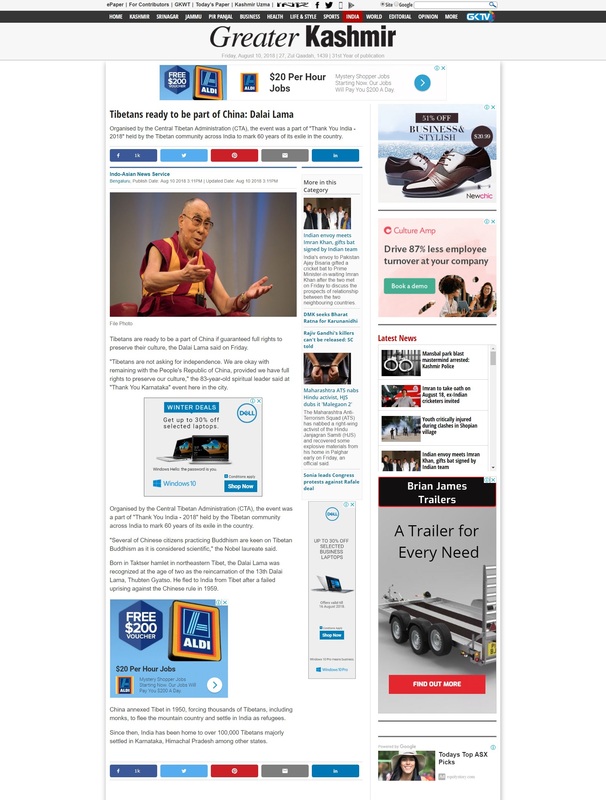 When His Holiness the Dalai Lama is no longer around, the Chinese leadership at that time will no longer need or want to negotiate because they will no longer find the Tibetan leadership to be a threat. 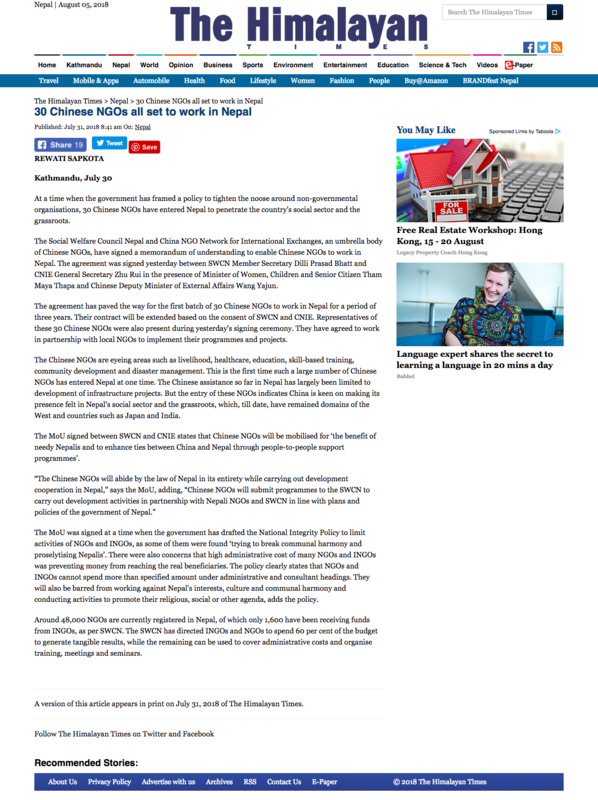 As it is, the Chinese leadership already refuse dialogue with the Tibetans despite the Dalai Lama’s international standing, so what chance will the Tibetan leadership have to reopen dialogue once they no longer have the Dalai Lama’s reputation to rely on? So rather than using self-immolation as fodder against China, if the CTA had the real motive of benefiting their people, they would actually take measures to curb self-immolations within their own community rather than using them to line their own pockets with blood-stained money. But until that day comes, on the topic of self-immolations, sadly it is not a question of if the next one will happen but when, and this constant loss of life is certainly a most tragic situation for the already-dwindling community. The video from 2009 proves that Nechung is wrong again! Why rely on Nechung when all his prophecies are wrong?? Someone with a hidden agenda maybe?!! Well, if CTA really cared about Tibetans and did what they were elected to do in the first place, there will not be Tibetans who would be driven to take such drastic action. One can only imagine the desperation, frustration and hopelessness felt by them resulting in them feeling that they can only use their life to be heard. Sadly, such self-immolation does nothing for the Tibetan cause. The only one benefitting is CTA and hence they will not actively bring a stop to it. After all, more deaths translate to more sympathy prompting more donations for CTA to pocket. When will Tibetans realise the futility of not only self-immolations but also trusting/supporting CTA? 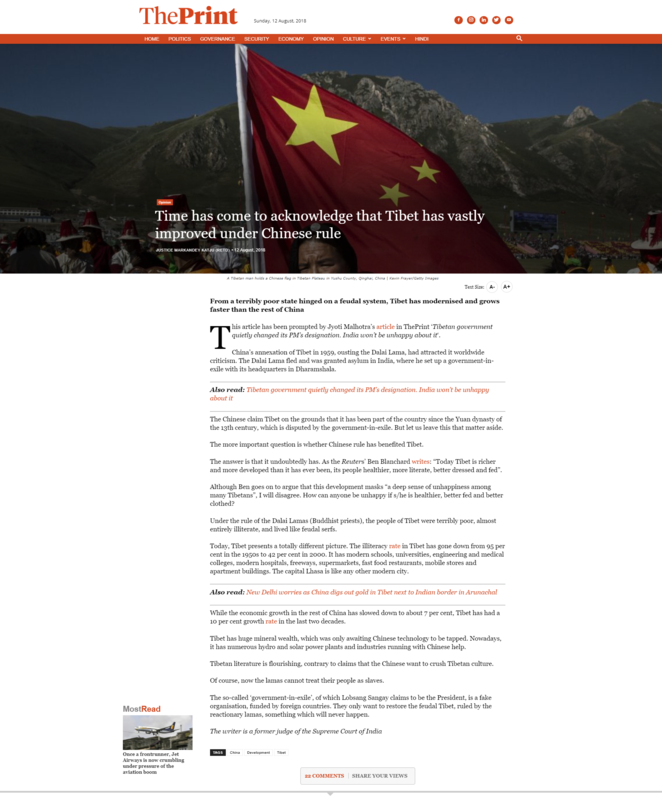 The Tibetans in Tibet are less exposed to the information outside, they can be easily manipulated. For the Tibetans outside Tibet, they are more exposed and they know self-immolation will not help them to get their country back that is why they are not burning themselves to death. It is quite disturbing that the CTA did not try to stop people from self-immolating but they actually encourage that. It seems like their lives are more precious than those in Tibet. How come? They knew it very well that self-immolation will not help them to get their country back, why are they not stopping the Tibetan from doing that? The CTA is so selfish, they only care about the money. Did you know there is actually a guidebook published by the CTA to guide people to self-immolate? Did you know the CTA is using all these self-immolation cases as a tool to raise fund for themselves. No government in this world will advise their people to kill themselves for the country, the CTA is the only one. Didn’t the Buddha said if we kill ourselves, we will go to the lower realms? Why is the CTA allowing the Tibetans to do that? The CTA and Lobsang Sangay are real murderers, they may not have murdered someone themselves but the guidebook they published that encourages people to self-immolate is already a big crime. Up to date, more than 160 people in Tibet have sacrificed their lives for a cause that has not shown any result after 60 years. The CTA tends to encourage the Tibetans in Tibet to self-immolate because they are more gullible and not exposed to the outside world. They are not aware of what the CTA is doing, how the CTA is using these self-immolation cases to get donations for themselves. The CTA has not done anything good but only evil deeds, causing pain and sufferings to their own people. A democratic government is elected by the people to work for the people. The boss is the people, not the government. However, the CTA does not run its so-called democratic government this way. They run their government like it is their family business, they disregard the welfare and the voice of the Tibetans. They only want to benefit themselves. Not only they disregard the welfare of the Tibetans, they further exploit the Tibetans by encouraging them to self-immolate. They told the Tibetans it is a great honour to sacrifice their lives for free Tibet movement and they will be remembered. Many Tibetans in Tibet believe what the CTA says and they sacrifice their own lives. These self-immolation cases are then used by the CTA to ask for donations from the west. This is so evil, the CTA manipulate the Tibetans to sacrifice their lives so their wallets continue to grow fatter! No government will want unnecessary sacrifice of lives, but the CTA seems to be quite happy to see more self-immolation cases.